GRAFENWOEHR, Germany — Spring has sprung and the garrison is asking all Soldiers, family members and civilians to join forces to beautify and improve the appearance of the USAG Bavaria community during a joint spring cleanup effort. 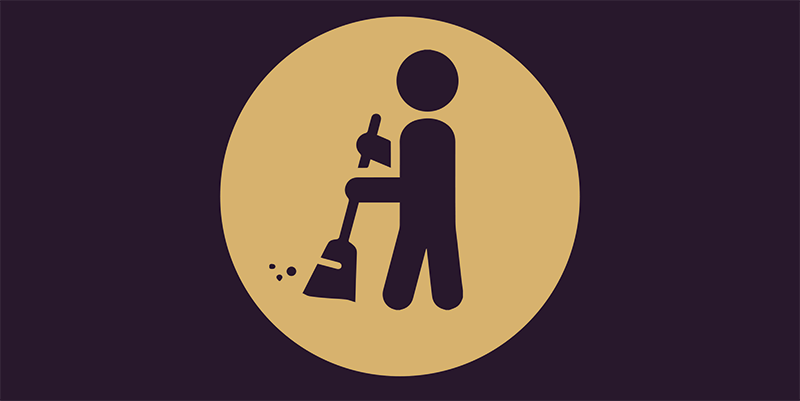 Spring clean-up for Tower Barracks is scheduled for April 24-28, for Rose Barracks April 17-28, for Hohenfels May 9-10 and Garmisch May 9-11. Soldiers, family members and civilians: Spring cleanup includes the participation of everyone. Areas needing cleaned include all housing areas and barracks, as well as all common areas and workplaces. New to Germany? Check out the Beginner’s Guide to Trash and Recycling to get started. Family members’ areas of responsibility include the inside and outside of their respective housing area. Basements, washrooms and storage rooms, for example, and a 50-foot perimeter around the building, should be considered when cleaning up. Soldiers need to report to their area and building coordinators for specific instructions. Use this clean-up period to dispose of bulk trash items. Bulk items include furniture, carpets, mattresses, suitcases, and other large items that will not fit in the regular refuse container. USAG Bavaria and the German Polizei are now issuing their first round of fines to USAG Bavaria community members — on and off-post — who illegally dump trash. Fines range from €30-250, depending on what’s disposed (the worse it hurts the environment, the greater the fine). The Soldiers’ chains of command will also be notified. To report illegal dumping, call the MP Desk at DSN 476-3398/3397, CIV 09662-83-3398/3397. If you need tools and equipment, use our Self Help locations on Tower Barracks, Bldg. 394, on Rose Barracks, Bldg. 140 and at Hohenfels, Bldg. 742. Special materials like paint, topsoil or beauty bark should be requested as early as possible to insure availability. Checked out equipment should be returned no later than one week after the scheduled cleanup. Rose Barracks, Bldg. 107: Recycling center hours during spring cleanup are from 11 a.m. to 4 p.m. Monday, Tuesday, Wednesday and Friday, from 1 to 6 p.m. on Thursday, and from 10 a.m. to 4 p.m. on Saturday. Tower Barracks, Bldg. 700 across from range 118: Recycling center hours during spring cleanup are from 8 a.m. – noon and from 12.30 – 3.30p.m., Monday through Friday. Hohenfels, Bldg. 125: Recycling center hours during spring cleanup are from 7 a.m. to 3 p.m., Monday through Friday. USAG Bavaria will no longer offer on-post pickup services for bulk trash items. During spring cleanup, recycling centers will extend their operating hours to compensate. Residents living on post must bring bulk trash to the recycling center. Bulk items are items that cannot be dismantled, torn or broken down to a size that would fit in a trash can or car trunk. Examples include furniture, mattresses, carpets, washing machines, dryers, refrigerators, freezers, large TVs, ovens, stoves and bicycles. Refrigerators can be taken to the Tower Barracks recycling center, but refrigerator locks and latches must be disabled before left unattended outside. Rose Barracks: On April 27, from 9 a.m. – noon, turn in HAZMAT to Rose Barracks, Bldg. 121 across from Central Issue Facility (CIF). Tower Barracks: On April 27, from 9 a.m. – noon the bulk POL yard on Tower barracks, Bldg. G 332A accepts unwanted hazardous material. Hohenfels: Bring hazardous waste to the Hohenfels Recycling Center, Bldg. 125 from 9 a.m. to 3 p.m. from May 9 – 10. Garmisch: In Garmisch hazardous material can be dropped off at the Auto Craft Shop Bldg. 256 Tuesday-Friday from 2-7 p.m. and Saturday from 10 a.m.-3:30 p.m. Coordination and scheduling with the Auto Skills Center is required prior to turn-in of HAZMAT. Call DSN 440-3580, CIV 08821-750-3580. Hazardous materials include all type of batteries, spray cans or non-water based paints, household cleaners, and motor oils. For more on recycling guides, trash pickup schedules or trash policies, go to the garrison’s trash and recycling webpage at www.bavaria.army.mil/trash. You can also pick up all the SORT brochures and guides at the housing office on Tower Barracks, Bldg. 244, or the SORT office at Tower Barracks, Bldg. 329. If you have questions, call the SORT coordinator for Tower Barracks at DSN 475-6664, CIV 09641-83-6664, for Rose Barracks at DSN 476-2600, CIV 09662-83-2600 and for Hohenfels at DSN 466-4887, CIV 09472-83-4887. For more on hazardous material disposal, call the garrison’s hazard material management office at DSN 476-2512, CIV 09662-83-2512.